(Newser) – People lie, satellite images don't—hence why the US and South Korea are closely monitoring a new suspected missile site near North Korea's central border with China. The facility in Hoejung-ni, "one of the most likely sites for deploying intercontinental ballistic missiles capable of reaching the United States," shows Pyongyang is continuing to improve its missile capabilities even as it presents a very different picture to the world, reports the New York Times, quoting two experts. 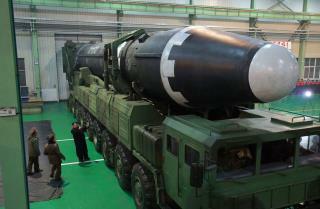 Citing new satellite images obtained by CNN, Jeffrey Lewis and David Schmerler of California's Middlebury Institute of International Studies at Monterey say the site featuring possible missile shelters is the ideal spot to "house long-range missiles," as its location "backed up against the Chinese border" reduces the risk of preemptive strikes from the US.